Print and present this coupon for a 20% discount on any single regular price item at Jos A Bank retail stores. Print coupon for a $40 discount on a Tuxedo Rental Package or Suit Rental Package. Redeem at a local Jos A Bank store. Jos A Bank is where you can find men's suits to meet your everyday business dress needs, in a variety of styles, materials and colors. From sportswear to casual wear or for business and attire parties. 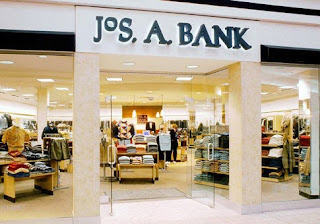 You can easily find the right suit for all your needs at a Jos A BANK store.